Who doesn't love a fitted blazer? I'm wearing this stunning navy jacket from Light & Bright in South Korea! Light & Bright is a brand new modest fashion company founded by a young sweet designer. Check out more of her designs here! 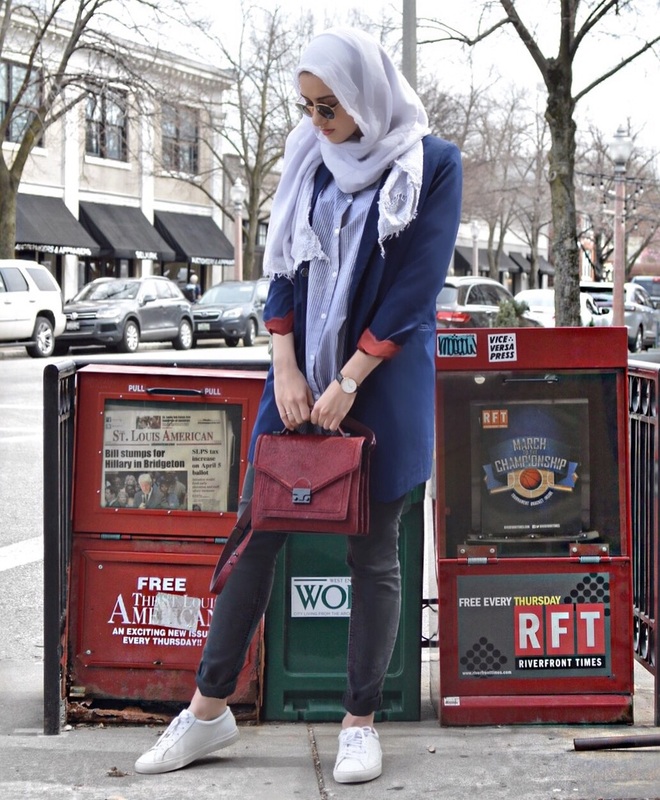 Paired with white sneakers and a maroon briefcase bag, this blazer completes any on-the-go street style look. I'm especially in love with the maroon cuffs.